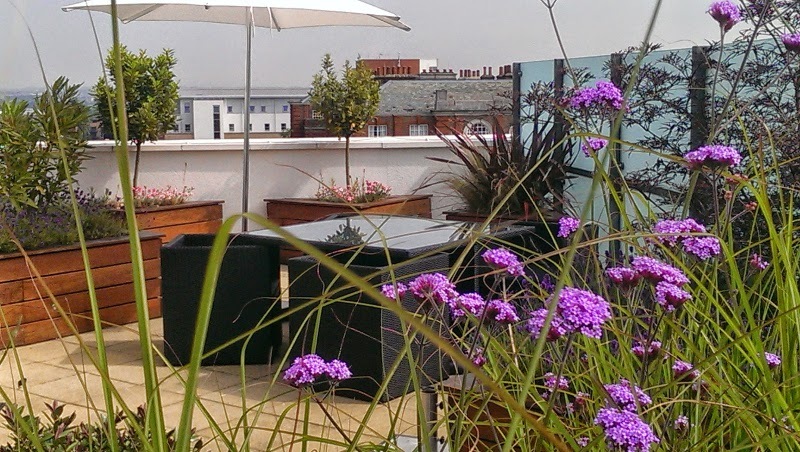 With fantastic views across London, this penthouse garden needed a transformation. 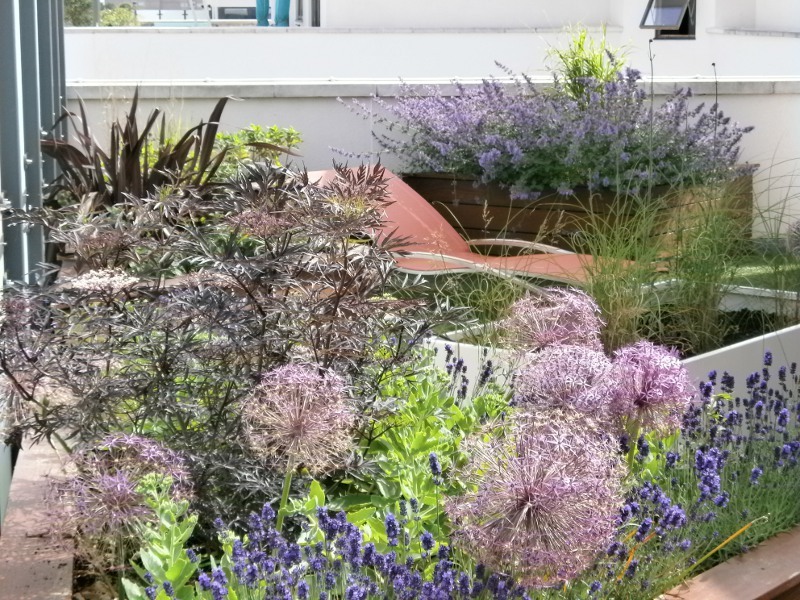 Scott Lawrence Garden Design was asked to transform a very dull, paved area into a garden. As a new build, the garden space was left to paving (and nothing else). There were very tight restrictions on what could be done from the leaseholder (ie no structures) and the weight loading. The only access to the garden was in the communal lift shaft. Unfortunately a crane was not an option. 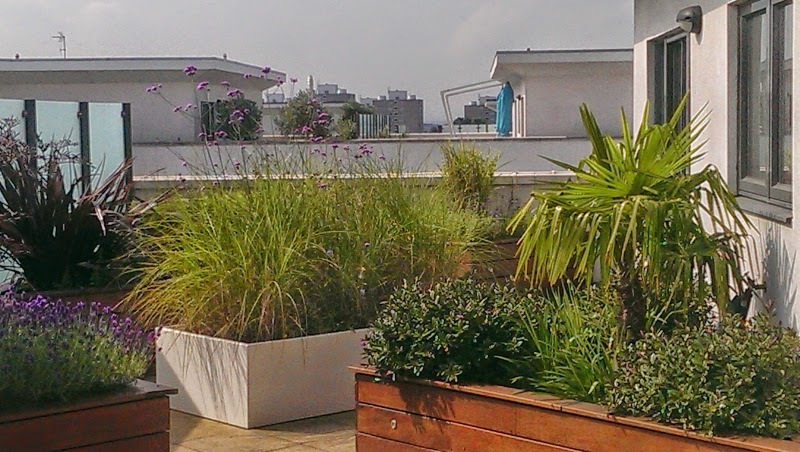 Raised planters were constructed of different sizes and heights for added interest and the garden designed on 45 degree angles from the penthouse. Being a fairly narrow but very wide space this creates a ‘walkround effect’. Making the space feel larger and slowing the journey down from A to B, a good chance to admire the planting. 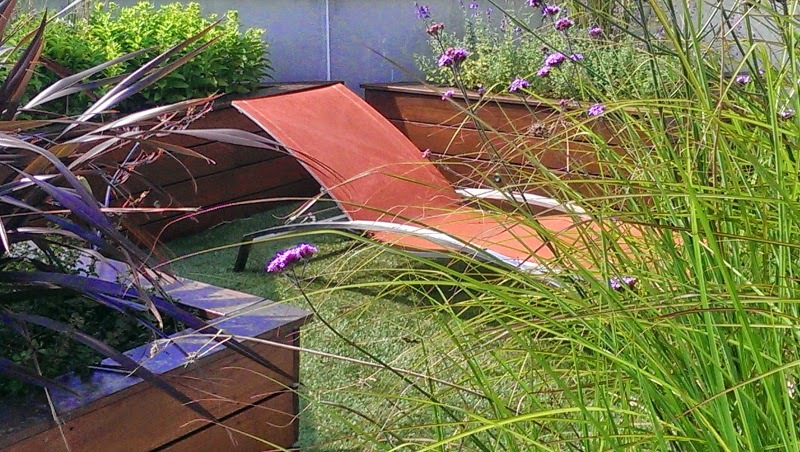 Massaranduba hardwood used for the bespoke raised planters. Lavender, oregano, miscanthus, phormium, trachycarpus, bay, tulip, daffodils and alliums.